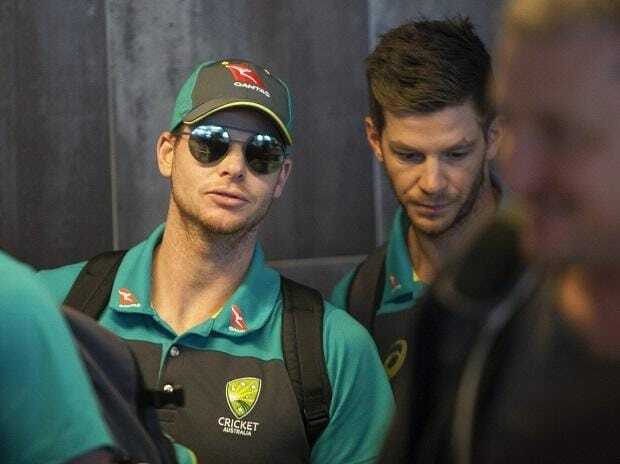 Apologising for his mistake in the ball-tampering scandal, Smith said, “I don’t blame anyone. I’m the captain of the Australian team. It’s on my watch and I take responsibility for what happened last Saturday.” Earlier, Australian batsman David Warner apologised for his role in the ball-tampering scandal. The left-handed batsman has recently been banned for a year by Cricket Australia (CA) after his ball-tampering plans came into limelight during the third Test against South Africa in Cape Town. Warner took to Twitter to apologise to his fans saying he understood the distress that was caused due to the scandal. He wrote: To cricket fans in Australia and all over the world: I’m currently on my way back to Sydney. Mistakes have been made which have damaged cricket. I apologise for my part and take responsibility for it. I understand the distress this has caused the sport and its fans. It’s a stain on the game we all love and I’ve loved since I was a boy. I need to take a deep breath and spend time with my family, friends and trusted advisers. You will hear from me in a few days. After the slapping of a 12-month international and domestic ban on (now former) Australian cricket team captain Steve Smith and vice-captain David Warner, the Magellan Financial Group Ltd has cancelled its $24-million sponsorship deal with Cricket Australia. Many other sponsors like Sanitarium, LG and Asics also dumped Steve Smith and David Warner from their sponsorship deals after the incident that rocked the sport in the country. However, the decision by Magellan suggests the financial impact of the episode will go to the core of Australia’s cricket team. 1. Cricket Australia loses major sponsor Magellan: Magellan terminated its contract with the governing body over the ball-tampering scandal. The major sponsor had inked a three-year partnership in August 2017 for Australia’s domestic Tests in a deal estimated at the time to be worth Australian dollar 20 million. It began with the recent Ashes series against England. 2. Cricket Australia CEO James Sutherland defends team coach Lehmann: James Sutherland came in defence of team’s coach Darren Lehmann. According to Reuters, Sutherland said that Lehmann was as surprised as spectators watched images on big screens showing Bancroft shamelessly cheating. Reuters reported that Lehmann had sent a message to say: ‘What the hell is going on?’ He didn’t use ‘hell’, he used another word. Darren wasn’t involved and didn’t know of the plan.” had no knowledge of a ball-tampering plot by his two most senior players and allegations that he then led a cover-up are false, Cricket Australia said on Wednesday. 3. The right decision has been taken, says Sachin Tendulkar: Amid the ball-tampering controversy, Sachin Tendulkar believes that the right decision has been taken. Winning is important but the way you win is more important, he said in a tweet. It is important to uphold the integrity of the game, Sachin explains.